Hard Address: Contact me by email for this on a case-by-case basis. For all scholarly and university-related contact, use the other site. 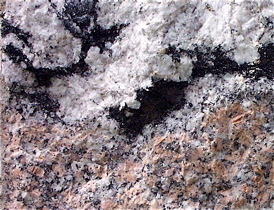 Photo: Coarse grained crystals in pink granite. Building stone at Connecticut College, New London, CT.